The straps are made from rigid velour to enable proper immobilization of the shoulders. It is made of honeycomb fabric, terrycloth and padded foam with neoprene covers on the straps, adjuster buckles at the back and Velcro fasteners to adjust the tension of the orthosis. The Velcro fastener can be removed if necessary to shorten the length of the strap to fit the physical characteristics of each patient. The back pad is made from padded material to improve patient comfort. 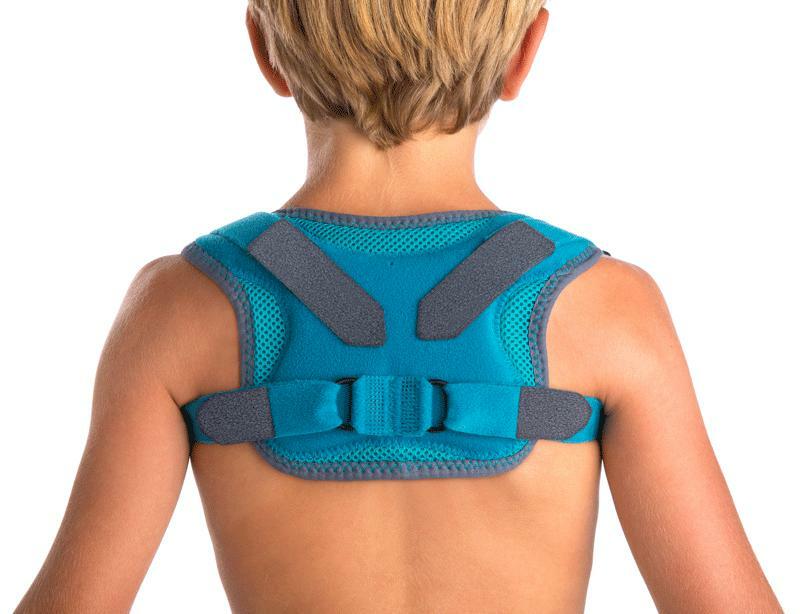 The straps are made from rigid velour to enable proper immobilization of the shoulders in retropulsion. Indications: Clavicle fracture treatments to align fractured segments, such as figure-8 bandaging. Posture reminder. Size: 1 (2-6 years old – torso circumference 48-58 cm), 2 (6-12 years old – torso circumference 58-72 cm).